In my Ancestral Health Presentation I discussed the idea that nutritional diseases fall into two categories, excess and deficiency. As the rapid sales of nutritional supplements in the U.S. shows, we tend to worry a lot about deficiencies. From an evolutionary psychology standpoint, we might have this predisposition toward thinking that our problems are due to deficiency of something because our ancestors were more likely to develop dietary deficiencies than dietary excesses. In the ancestral environment, food was more scarce than in modern nations, and it took more energy to get that food, a situation favoring deficiency (low nutrient availability plus high nutrient expenditure). In our modern environment, we have a high availability of nutrients and do not need to expend much to get those nutrients, a situation favoring development of excesses. Worldwide, iron deficiency is the most common nutrient deficiency, occurring mainly in developing nations (low food/iron availability) and among children and menstruating women (high iron demand). But in modern nations, a growing body of evidence suggests that excessive iron intake and retention promotes chronic degenerative diseases. In human metabolism, iron play a critical role, as part of hemoglobin and myoglobin, in the promotion of mitochondrial oxidation reactions that sustain the process of life. The oxidation process inevitably produces peroxide and superoxide radicals. These radicals themselves are comparatively non-toxic, and cells have evolved means of dealing with them . However, when these oxide radicals react with unbound or poorly bound iron, they generate much more damaging hydroxyl radicals. According to Chinese medical theory, we classify anything that acts like fire as relatively yang. Fire consumes by oxidation and produces heat and light. Oxidation fuels the normal process of transformation (growth and development, or aging); acceleration of oxidation accelerates transformation (growth, development, aging). For example, a log left to age will gradually oxidize and turn to ashes; subjecting the log to fire just accelerates the transformation from log to ash. Indeed, Ou et al have proposed that, on a biological level, the concepts of yang and yin correspond, in part, respectively, to oxidation (yang) and antioxidation (yin). They found that traditional Chinese herbal medicines classified as yin tonics (used to nourish yin or promote water-like, cool, moist aspects of the body) have, on average, six times more antioxidant activity and polyphenolic contents than herbals classified traditionally as yang tonics (used to fortify yang or promote fire-like, hot, dry aspects of the body). Since iron supports oxidation, iron deficiency reduces rates of cellular oxidation, and results in a more yin condition: the iron-deficient person feels cold, fatigued, and weak, and suffers from pallor and cognitive impairment, a weakening of the light of the mind. Its like the inner fire has died down. Returning iron sufficiency restores the heat, energy, strength, color (reddish) and mental function, all signs of a fire burning more brightly. Chinese medical theory predicts that an excess of a yang factor like iron would result in excessive 'fire' in the body, which Western medicine calls in-flamm-ation, the "flamm" simply meaning 'flame,' i.e. fire. Exposing any tissue of the body to chronic in-flame-ation--low level fire-- results in scarring and hardening. (i) that it is this combination of poorly liganded iron species, coupled to the natural production of ROSs, that is especially damaging, (ii) that the role of iron has received far less attention than has the general concept of ROSs, albeit the large literature that we review, and (iii) that this basic combination underpins a great many (and often similar) physiological changes leading to a variety of disease manifestations, and in particular those where the development of the disease is manifestly progressive and degenerative. I have also found studies linking elevated body iron to PCOS  and Multiple Sclerosis . Even though elements of the 'Mediterranean' diet that are considered to be beneficial are usually assumed to be so on the basis of their antioxidant capabilities (but cf. ), many of the polyphenolic compounds (e.g. flavones, isoflavones, stilbenes, flavanones, catechins (flavan-3-ols), chalcones, tannins and anthocyanidins) [1821-1828] so implicated may also act to chelate iron as well [1073,1829-1843]. This is reasonable given that many of these polyphenols and flavonoid compounds [1821,1844-1853] have groups such as the catechol moiety that are part of the known iron-binding elements of microbial siderophores. Examples include flavones such as quercetin [914,1813,1829,1854-1864], rutin [1829,1857,1858,1865,1866], baicalin [1860,1867], curcumin [1813,1868-1872], kolaviron , flavonol , floranol , xanthones such as mangiferin [1876-1879], morin , catechins [1073,1807,1838,1854,1880,1881] and theaflavins , as well as procyanidins [1835,1883] and melatonin [1628,1884-1887]. In addition to the phenols and flavonoids, dietary tannins (tea, coffee, nuts, vegetables) phytates (seeds, nuts, grains, beans), calcium, phosphorus, dairy products, and reduce iron uptake. Dietary meat, poultry, and fish: All enhance iron absorption via the MFP factor, which promotes absorption of iron from non-animal foods eaten with the animal product. Meat, fish and poultry also provide the most bioavailable heme iron, of which the body consistently absorbs about 23 percent, up to ten times more than from non-animal sources. Red meat generally provides the greatest level of iron as well. Dietary acids: Vitamin C and other dietary acids (e.g. those found in sodas) increase the availability of dietary iron. 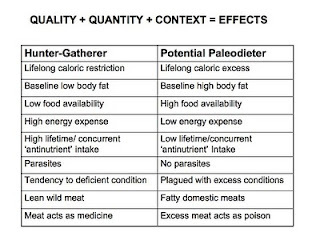 To summarize the table, in comparison to modern people, hunter-gatherers live in an environment with a low food availability and a high energy expense required to get that food. This combination results in lifelong caloric restriction and low body fat levels in the hunter-gatherer. Hunter-gatherers also consume many unrefined plant foods and herbs that contain polyphenols, flavonoids, tannins, and fiber, all of which so-called 'antinutrients' reduce iron uptake and bind iron to reduce its availability for reaction with peroxide and superoxide. Finally, they have many other factors causing blood and iron loss, including parasites, insects, and injuries. This environment is similar to that of our primate ancestors. Hence, I would surmise that human metabolism is adapted to an environment with a high intake of 'antinutrients,' a low dietary iron availability and a condition of borderline iron deficiency. In such an environment, meat, particularly red meat, with its highly available iron, may serve as a medicine. In contrast, people in modern affluent nations inhabit an environment with a low intake of 'antinutrients' (due to emphasis on refined plant foods), a high food iron availability and comparatively few drains on body iron stores. Even many menstruating women have less iron loss in modern nations due to use of birth control methods. Thus, modern people have a tendency to accumulate excess iron. In The Iron Factor of Aging, Francesco S. Facchini discusses the relationship between iron and chronic diseases at length. After a thorough review of the evidence linking iron to inflammation, disease, and aging, he notes that when we look at modern nations, people who have diets with a lower iron availability also have lower rates of chronic inflammatory, autoimmune, and degenerative diseases. These include the Mediterranean and Asian nations where tea, wine, cheese, legumes, vegetables, and fruits provide the 'antinutrients' reducing iron availability, and people either consume less red meat and more white meat (fish and poultry, lower in iron) or nearly vegetarian diets. This perspective raises the possibility that fish consumption sometimes correlates with reduced risks of degenerative diseases not because it provides some essential nutrient (e.g. fish oils) but because people eating fish instead of land animal meat will have a lower intake of iron. Also, vegetarian diets have a lower iron availability, and also associate with lower risks of chronic degenerative diseases. The modern diet provides more iron by route of red meat and iron-enriched foods consumed in combination with highly acidic foods or beverages or vitamin C supplements. Iron nutrition provides a good example of how context can modify the effect of a food. The French eat more red meat than the Japanese, and they have a higher risk of cardiovascular disease, but not as high as in the U.S. The Japanese eat vegetables, rice, fish, and soy products, and drink tea. They typically eat no red meat. Their vegetables, soy, and tea all reduce iron availability, while nothing in their typical diet is a rich source of bioavailable iron. They live long lives with a low incidence of chronic degenerative diseases. The French eat meat with vegetables, fruits, dairy, and wine, all of which reduce iron availability. In contrast, Americans eat meat with bread made from iron-enriched flour, hardly any vegetables, and typically drink either acidic soda or low-polyphenol beer. The typical French meal would not provide as much iron as the typical American meal. The typical French man or woman would have less stored iron and this may explain why he or she has a lower risk of cardiovascular disease. Historically, U.S. men have higher risks of cardiovascular diseases than U.S. women, until women pass menopause. This means women have lower risk when they have monthly losses of iron through menstruation, and their risk rises when they stop losing iron. In general, in modernized nations, women have a greater life expectancy than men. This means women age more slowly, and this may occur because premenopausal women lose iron every month, resulting in a lower iron status, and a lower level of hydroxyl radical formation, during much of their lives. However, the iron hypothesis predicts that women who reduce menstrual blood losses by birth control methods without compensating by reducing dietary iron availability will have an increased risk of iron-related diseases. Men can reduce their iron stores by regularly consuming 'antinutrients' and giving blood. 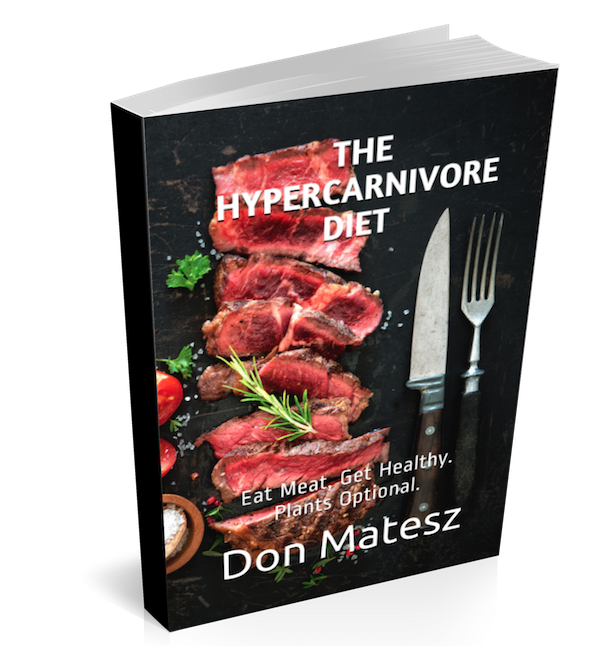 Don, a while ago I turned from paleo to McDougall and although paleo had significantly reduced my inflammation related disease, the diet with zero meat and zero dairy, just absolutely cured it. This research is an important. overlooked part of the puzzle. and it does explain why McDougall can cure anything from high blood pressure to arthritis with the supposedly evil and harmful starches. I have met people who lost a lot of weight by eliminating carbs, but then again, I met many that lost weight just by eliminating meat and dairy. And the latter can keep up their newfound diet while the earlier struggle with calories. Just one thing about french (which I am) vs japanese : I think red meat is a partial explanation, it's not as simplistic. For instance people from south west of France (especially from Gascony and Guyenne) eat far more red meat (lots of duck, with magret specialty) and poultry, foie gras, charcuterie, than other french.. And they have a higher lifespan expectancy and less cardiovascular illnesses. It's about vegetables or wine ? They eat or drink as much as in near mediterranean coast. You talk about antinutrients : in south west, white beans are very popular (we cook them with duck "confit" and we obtain "cassoulet", "garbure" is famous too") : I won't be surprised if these beans can explain this apparent paradox and a less intake of iron by the body. Good article. On a small point, HG women would probably have had far less menstrual periods then modern women as they spent a majority of their time pregnant. "Dietary meat, poultry, and fish: All enhance iron absorption via the MFP factor, which promotes absorption of iron from non-animal foods eaten with the animal product. Meat, fish and poultry also provide the most bioavailable heme iron, of which the body consistently absorbs about 23 percent, up to ten times more than from non-animal sources. Red meat generally provides the greatest level of iron as well." dysfunction has been demonstrated in animals [19,20]. reverse age-induced (non-Alzheimer’s) recognition memory defects in an animal model ." Even cultures that have had traditionally high fat intakes may still have had low iron, as dairy is important there (Wodaabe, Mongols). Is this part of acquired wisdom or simply because they're rationing the meat? I remember an African talking about how blood [drinking it] makes him feel like a warrior or something, which is interesting. On a non related subject, I'm really interested in learning about Chinese medicine/nutrition/ideas, what books would you recommend Don? Do you feel like a can (390g) of spinach, collard, turnip, or mustard greens a day would be a bit too much because of the iron? Would the phytate and fiber content of these foods be high enough to counteract this especially if the meal also contained beef or pork? Good for you. That's awesome. And it says something about human nutritional adaptation. Thanks for that paper...shows what reducing iron can do. Diet can produce NID also. Beans are high in fiber and several phytochemicals that reduce iron absorption. Its the whole combination of multiple 'antinutrients' that does the trick to provide balance to what I call 'hypernutrients' i.e. animal nutrients. Thanks for the additions. 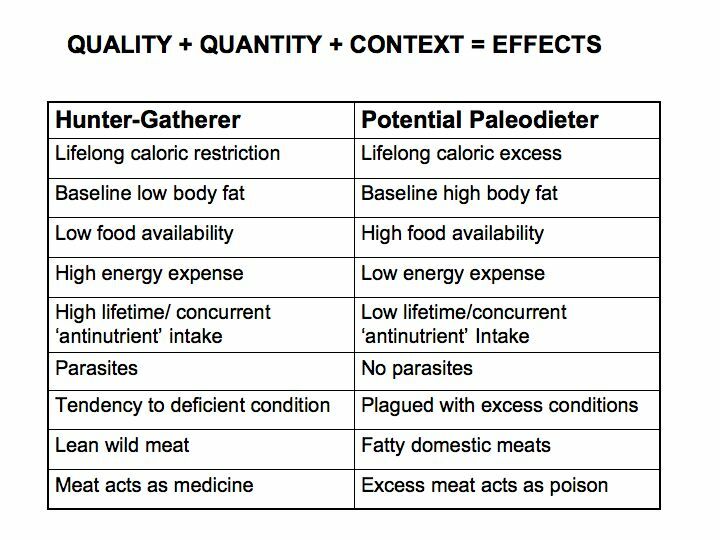 That paper on the Inuit helps explain, again, why their diet and ecology are unique and not supportive of 'low carb' regardless of context. I imagine that parasites play a huge role in their 'protection' against some of the effects of their high meat intake. Dairy probably provides some protection against excess iron from meat in such cultures, by reducing iron absorption. I also have read but don't have the reference handy, that dairy rich diets frequently induce intestinal bleeding...more iron loss if so. 390 g of vegetables not too much iron. Whether its enough phytochemicals to also counter the meat's iron depends on amount of meat, and other factors. You can know by checking stored iron status. Near iron deficiency: Ferritin ≤ 30 mcg/L, iron saturation ≤15%. Phlebotomy is always an option. Right. The McDougall plan dramatically reduces iron status. Interesting article. (Very Peatesque!) Are you saying, though, that iron is a principle source of problems, or are you just using it as one example of "excess"? Also, a (similar) question about the iron that is added to the American diet - Do you think that fortified iron is a significant part of the reason that breads, flours, pastas, etc. are problematic for people? Or is iron pretty far down the list of things wrong with those foods? I always keep forgetting to ask you the name of your Chinese medicine teacher and in which part of China did you acquire this knowledge? I don't think hunter-gatherer women spent the majority of their time pregnant, but they probably did menstruate less, because they spent the majority of their days *lactating. * They practiced extended breastfeeding, which also lowers (but doesn't eliminate!) the possibility of pregnancy - natural birth control. When a mother is still nursing her infant/child during the night, and frequently during the day, ovulation and menstruation stop. I think it is a principle source and one example among others. I think iron fortification is one of the things wrong with those foods. Pregnancy is a drain on iron reserves as well as menstruation, as the iron is required for development of the fetal blood supply and growth. Iron reserves increase when both menstruation and pregnancy are reduced...a modern phenomenon. Lactation is also a drain on a woman's iron reserves (iron goes into the milk). Many teachers, but none of them taught me much of what I know. I also have never gone to China. One teacher, Paul Karsten, helped by pointing me in the direction of how to apply Chinese theory. Some books have been important, particularly The Stone Monkey by Bruce Holbrook and Chen Chiu. But most of my understanding has simply come by reading, thinking, and applying Chinese theory. I just keep working on understanding the classical concepts (particularly yin and yang) and how they apply to phenomena. awesome post!! this is EXACTLY what i was hoping for when i inquired !! you left no suggestions however about iron overload excess. is a blood test the only way to find out, and even then is it reliable with iron binded vs available? if iron overload is causing it to deposit around the body is there a way to find out? i havent menstruated in 7 yrs, and while at one point i am sure i was defcient in iron and many others things, taking the low carb and obxious amount of protein and meat route to gain weight i am suffering problems from a continued lack of menstruation(im 130 at 5'6ish) and many MANY blood sugar/glucose problems. unsure of where to go from here as i dont handle carbs well and am taken back by the amount of edema and swollen eye/face i get by lowering meat and raising good starches. i feel like i am doomed to be one of the VLC zealots b/c it is wat 'works' to keep me sane with body fluids, pulse, anxiety etc..
1. When eating carbs don't eat it together with any fat. Fat will prevent the muscles from absorbing the carbs and it will stay in your blood too long and making a mess. 3. My experience is that it is best to start with fruit. It digests fast so the blood sugar window is quite short. If you don't eat it with fat it will quickly go into your muscles. Don't eat too much. Perhaps try a peach or an apple without anything else or perhaps with a slice of lean ham or turkey or something like that. 4. I still don't feel very well on starches. I eat mostly green peas, sweet potato and corn on the cob. That works best for me. And then fruit of course but that's not really starches except for banana and it is not my favorite fruit. would you then discourage the WPF method of treating nuts/beans/grains to remove phytates (at least for those who eat meat)? Also, is low iron a good thing even in growing kids? I feel hyoglycemia 2-4hrs after eating my sweet potato (even when eaten along with cinnamon or insulinogenic chocolate). I wonder if I should exercise 15min after eating sweet potato to mitigate blood sugar... or what is best? I want to be able to eat at least 150g of carbohydrate per day and avoid fructose. What is happening? Well, the first thing is that LC eating rapidly induces insulin resistance. This is a completely and utterly normal physiological response to carbohydrate restriction. Near iron deficiency (NID): Ferritin ≤ 30 mcg/L, iron saturation ≤15%. You can maintain blood levels similar to NID indefinitely with no ill effect. We're not concerned with iron 'depositing' in the body (it might happen, but I don't know of any evidence for it). We're concerned with levels in the blood, organs, and muscles. If your serum ferritin is above 50 mcg/l or so, you have too much stored iron, which means tissue levels are probably also too high. What do you mean when you say you get hypoglycemic? Do you eat starches with proteins? This increases insulin response. Yes, I would leave the phytates alone. To my knowledge, they are only an issue for poorly nourished people, not for those of us with an abundant diet and wide selection of nutrient-rich foods. Moreover, phytates have anti-cancer effects. Low normal iron is perfectly fine for growing children. It was most likely the usual situation during human evolution. For adequate carotenoid absorption, one needs only 25 g of total fat for a day. One doesn't need to add fat directly to the food, the fat can be part of the other foods in the meal. High fat intake definitely increases insulin resistance and thus promotes higher blood sugar levels when you eat carbohydrate. Hence, it seems that the more carbohydrate you eat, the less fat you can tolerate, and vice versa. Your blog is great, much appreciated. In this post of yours, http://donmatesz.blogspot.com/2011/06/micronutrient-comparison-high-fat-vs.html, comparing your current diet to that of high meat and fat, the iron intake came out higher for your diet (in the summary table towards the bottom). Example, if you have 10 mg of animal source iron you might absorb 2 mg (20%). If you have 20 mg of plant source iron you might absorb as little as 0.4 mg (2%). Twice as much plant source iron, but the animal iron supplies 5 times as much iron to the blood. I'm a genotype Hunter in the D'Adamo system. I've tried it all-- vegan, macrobiotic, American junk food, low fat, meat free-- and Paleo-esque blood type O eating is the best for me..... emphasis on animal meat and vegetables & fats with some fruits and beans and few grains and no dairy. I'm balanced and feel normal on this way of eating and also have better mood regulation, fewer weight problems just like D'Adamo says. He's the only way who gets it. I am blood type O. I have been lean on both vegan and carnivorous diets. There is NO good evidence that blood type determines diet requirements. "For adequate carotenoid absorption, one needs only 25 g of total fat for a day. One doesn't need to add fat directly to the food, the fat can be part of the other foods in the meal. " I need to find the source for that claim...will get back to you. I totally agree with the video and he agrees with my statement...he says "oils are not good for you" and recommends using nuts, seeds, or dressings made from nuts and seeds blended with water etc. That's what I meant when I said you don't need to add fat (i.e. free fat/oil) directly to the food, instead you can use other foods that contain fat, like nuts or seeds, with the foods that contain fat soluble nutrients. "The RDA for dietary fat suggested by the National Academy of Sciences, to ensure adequate intake of essential fatty acids and to act as a carrier for fat-soluble vitamins, is 15 to 25 grams of dietary fat." I could not find a confirmation of this in the current NAS Dietary Reference Intakes online, but I think I did confirm it in an earlier edition. In any case, I think the study discussed in that video and to which I gave the url in my last comment shows that 25 g daily is probably NOT the optimal amount of fat for absorption of fat-soluble nutrients, so I will no longer reference this figure. Interesting. What do you think about those for whom anaemia runs in the family? Surely different people's bodies react differently to what you see as an abundance of iron in the general food supply. I had a period of time a few years ago where I was getting dizzy and ill every time I exercised even slightly (I still can't exercise much, but this particular time in my life was quite pronounced), ran into panic attacks, and felt weak most of the time. I was talking to my mom about it, and she told me that she has bordered on anaemia most of her life. I began supplementing with a cheap iron tablet, and the problem went away. (I know now that I should have used a supplement that has more bioavailability, but at the time I didn't think to question supplements.) Perhaps some may attribute it to placebo, but judging from the descriptions of iron deficiency, I think slight anaemia is something I have dealt with off and on for awhile. I've never had health insurance (except for one year of my life), so of course I've never officially tested my iron levels. When I was pregnant, though, my midwife did an iron test, and I was as low as I could be before dipping into the "problem zone."